The Interrupters focuses on a group of “violence interrupters” who use their own troubled backgrounds and experiences to try to prevent violence on the streets of Chicago. The documentary also looks at the creation of the Ceasefire Group (now called Cure Violence) by epidemiologist, Gary Slutkin. Slutkin believes that we should treat the escalation of violence in the same way we treat infectious diseases - by going to the heart of an infected area and preventing contagion. 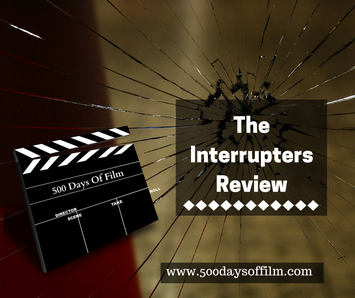 The Interrupters is such a fascinating, if heartbreaking, film. It takes you onto the streets of Chicago and shows you the devastating impact of the violence in some of the neighbourhoods. You see just how quickly events can escalate - often from a minor misunderstanding to a full blown gun battle. The interrupters have to use their credibility to try to talk people down and prevent reprisals. Their role is to save a life. They do not seek to judge or to condemn but to understand and to show people the senselessness of their actions. As you can imagine, the job of a violence interrupter is extremely tough. The young people that they encounter do not expect to live past 30 and they exist in what is described as a war zone. However, the Interrupters are spurred on by every victory - however small. And they have been extremely successful. According to Cure Violence’s website, city funded sites in Chicago have seen a 75% reduction in shootings. Their programme is now being implemented in over 50 sites around the world. This documentary was produced by Dog Woof - the same company that produced Restrepo. I think that their back catalogue will be well worth watching.